Let’s take you through the road to Eden Hazard’s possible transfer to Real Madrid so far, a recount of the whole situation between Chelsea and the player. After this morning’s statements of Chelsea manager Maurizio Sarri practically opening the doors to Eden Hazard, there is very little that the Blues’ fans can do to prevent the Belgian winger to complete his transfer to Real Madrid. Ever since the player started his career at Lille in Ligue 1, there was an evident proof that he would become one of the most talented players in European football and Chelsea was right there to sign him when the time was perfect. But Hazard always aimed for higher goals throughout his career, the ultimate fever dream for him would be a club like Real Madrid as he always confessed that he was one of Zinedine Zidane’s biggest fans when he was growing up. The style that Eden Hazard played was always very much in the vein of the prototype of players that Real Madrid always looks for, a talented dribbler with the ability to score big goals during important matches and a winning mentality that is very usual in any footballer who tends to sign a contract with Los Blancos. Eden’s flirting story with Real Madrid started a few years ago, right around the time Hazard started feeling like Chelsea wasn’t a big enough club for him. After winning the PFA Player of the Year Award and the Premier League twice for the Blues in different seasons, it was evident that Eden Hazard was ready for a new challenge but Real Madrid still had Cristiano Ronaldo as their most important player and no need to buy a player like Eden Hazard. But as time keeps going by and the Portuguese forward decided to leave Los Blancos to play for Juventus, a new opportunity emerged for the Chelsea player this season. Everything seemed to point for a shocking move from the Blues during the summer after completing one of the best World Cup performances of 2018 for Belgium, but Roman Abramovich didn’t like the idea of letting his best player leave so soon. In a meeting with the board of directors, Eden Hazard was asked to let the club have another chance at winning all the titles under new manager Maurizio Sarri and the player decided to entertain this new request. 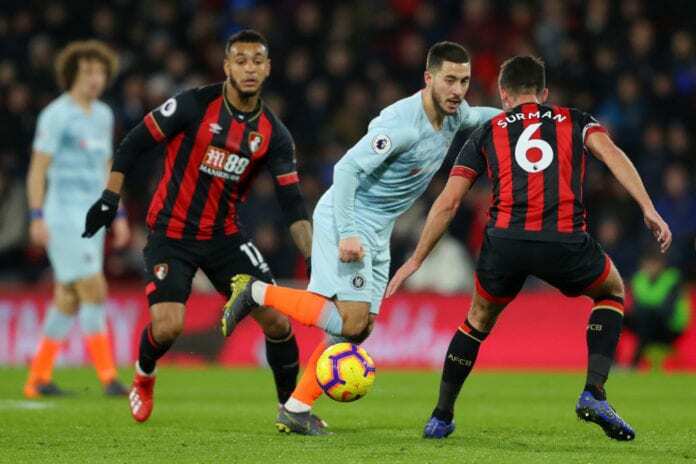 After half a season under new management, Eden Hazard witnessed how Chelsea wasn’t able to compete at the highest level in the Premier League despite starting the season on the right foot and the player got discouraged very quickly. There are two days left on the winter transfer window for both Eden Hazard and Real Madrid to reach an agreement, the price tag has already been confirmed to ba €110 million and even the Blues’ manager has given up on his quest to convince the player to stay in the club. The final decision rests on Real Madrid but the Spanish club keeps delaying the negotiations for some unknown reason, but Spanish outlet Diario AS is reporting that the Spanish giants will attempt the transfer in the next 48 hours as the window comes to a close. The biggest selling point that Hazard has in order to convince both interested parties to negotiate is the player’s contract, which ends on the year 2020 and it forces Chelsea to look for a new club that would like to pay those €110 million for their biggest star. If an agreement isn’t reached by the time the contract expires, Hazard would have the opportunity to leave as a free agent free of charge to the club of his choosing but he doesn’t imagine betraying Chelsea in such fashion after everything the Blues have done for him. 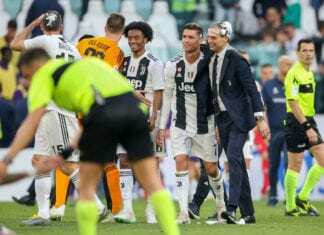 The other option is to sign a contract renewal but the motivation to continue seems gone for both sides, especially for manager Maurizio Sarri. Reporter: "Would a move to Real [Madrid] please you?" Eden Hazard: "Why not? You know what the answer will be so you don't have to ask." Why do you think Real Madrid is taking so much time to make a decision on Eden Hazard? Please share your opinion in the comment section down below.